Fortnite Season 7 has finally arrived, bringing a new battle pass filled with new cosmetics, Stormwing planes, and a number of changes to the map. One of the lesser talked about features, however, is the ability for your character to inspect their weapon. Here’s what you need to know on how to inspect your weapon in Fortnite. First off, if you don’t know what the big deal is about being able to inspect weapons in Fortnite let us explain. This is simply an animation that sees your character take a closer look at their weapon. They’ll hold up their weapon out of the standard position, maybe move it around a little, and get a proper look over the weapon. It doesn’t change anything about how the weapon works, nor does it grant any kind of bonus or boost to your character in the game, it’s just a fun little animation. 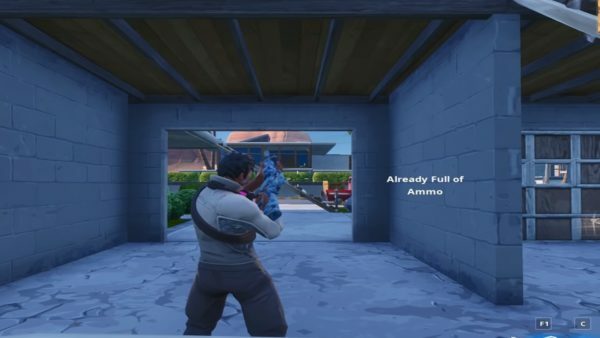 To inspect your weapon in Fortnite, you don’t actually have to do anything. From what we’ve gathered, the animation is triggered simply by standing still in-game for a little bit while holding your weapon. After a while, your character should inspect their weapon. While some have claimed that constantly tapping the reload button has resulted in being able to inspect their weapon, we found that this may have worked once or twice, before our character began shaking their head in response to us trying to reload a weapon with a full ammo clip. There isn’t any other way to do this in Fortnite at this current moment in time, so it really is just a case of standing still and hoping your character inspects weapons of their own accord. If Epic Games introduce this as a keybind or controller input, we’ll update this guide and let you know. That’s all you need to know about how to inspect your weapon in Fortnite. For more tips, tricks, and guides on the snowy season ahead, be sure to check out our ever-expanding Fortnite Season 7 guide wiki. Question: How do you inspect your weapon in Fortnite? Answer: There’s not a whole lot you can do to make your character inspect their weapon. Simply stay still, and hopefully, the animation will play. It’s entirely random from what we’ve gathered and there’s no keybind or controller input to trigger it.